Wen yuma guwin ya, yuma garra sabi, la dis fouda ma en rikoding ma, sambala pipurl bin finish na. En wi garra rispek alabat. When you enter this website, be aware that there are photos and recordings of people who have passed away. We must treat them with respect. The Ngukurr Language Centre is a small, independent, non-profit organisation. 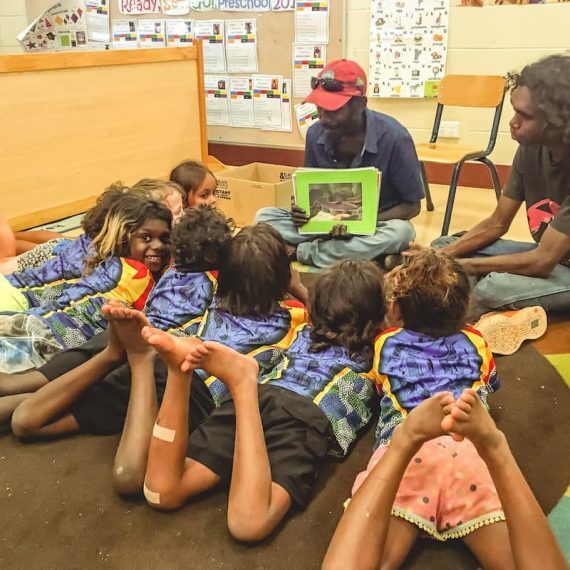 The goal of the Ngukurr Language Centre is to revitalise, document, teach and promote the traditional languages of the community via a range of community-based language programs. Ngukurr is a large Aboriginal community in southern Arnhem Land, situated on Ngalakgan land. Formerly a mission, the community population covers 8-10 heritage languages that are all now endangered. 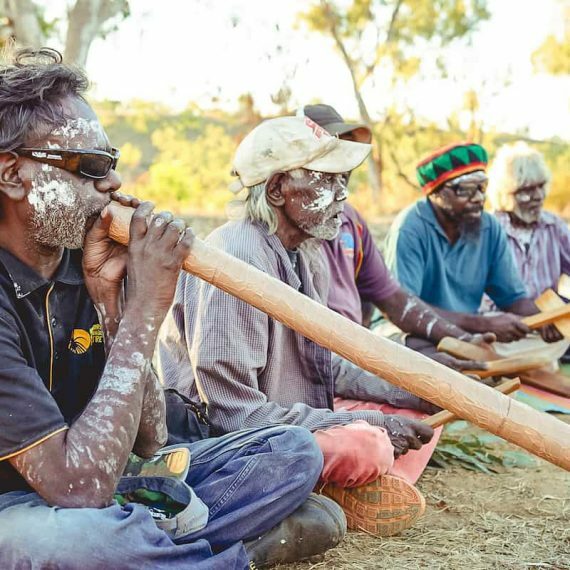 The main language spoken in Ngukurr today is Kriol but within the community, traditional languages are held in high esteem. The Ngukurr Language Centre was established in 1999 as a branch of the Katherine Regional Aboriginal Language Centre (KRALC). Following the closure of KRALC, the Ngukurr Language Centre became an independent, locally-governed organisation in 2011 and soon after secured operational funding. The Ngukurr Language Centre reopened in 2012 and has been fully operational since then. 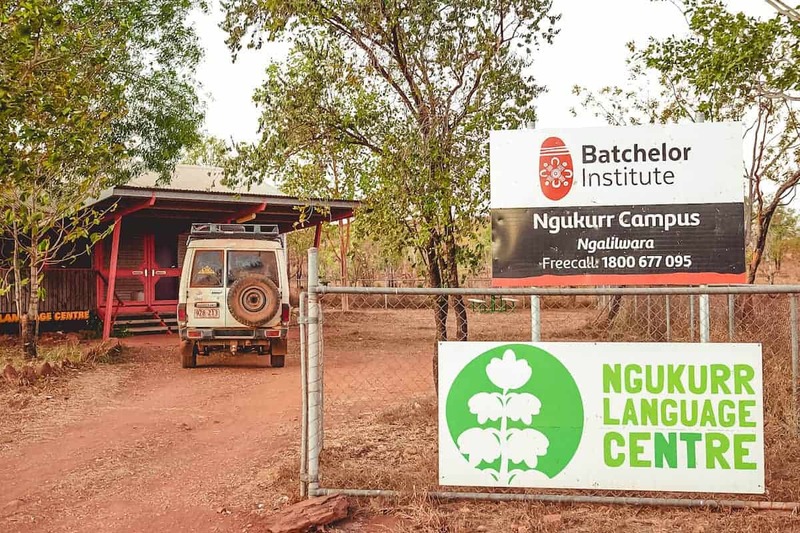 The Ngukurr Language Centre is overseen by an Indigenous board of directors, elected from a membership base of local language workers, language speakers and educators. 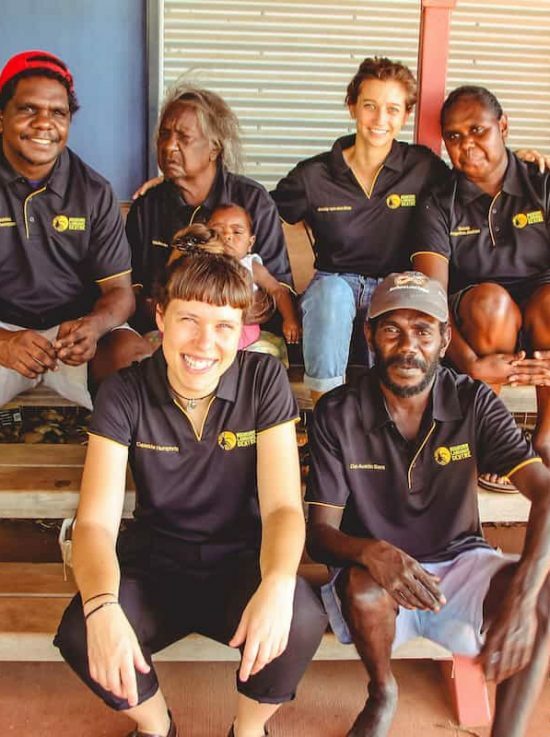 The Ngukurr Language Centre employs a full-time coordinator to oversee the day-to-day operations of the organisation and a team of language workers and consultants.